Bienvenidos to Albuquerque’s Old Town! This is the last in a series covering Old Town Albuquerque. I have enjoyed being your guide and showing you the many sights and sounds that make Albuquerque Old Town a unique and unforgettable place. I hope you have enjoyed the beautiful hand crafted jewelry, meandering paths and colorful shops. We have explored Onyx Expressions, old world adobe architecture and the 300+ year old San Felipe de Neri church. I finalize the tour with a selection of photos around Albuquerque’s Old Town plaza. When you’re in Albuquerque let me know I’d love to show you Albuquerque’s Old Town in person. In the event you missed this weeks posts on Albuquerque Old Town here you go. I would be honored to assist you in the purchase or sale of an Albuquerque, Rio Rancho or Central New Mexico home. Please contact me John McCormack with Albuquerque Homes Realty. I am prepared to exceed your real estate expectations. Please call, text or email. Feel free to conduct your own Albuquerque area home search. Your series of Old Town Albuquerque was a great idea and well done!!!! Thanks so much for being our guide! John -- I concur with DeeDee -- great idea, well done -- and you have shared a lot of things that a normal tour guide might ignore underscoring your worth as the true source for all things Old Town Albuquerque. Plus once someone falls in love with your city, you are the go-to real estate guy for the entire area. Gorgeous photo's of a lovely town! 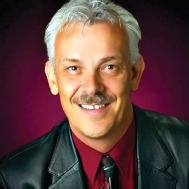 John, you are definitely the local expert - no wonder you are the real estate professional of choice in Albuquerque! Excellent post John. The Q looks like a great place for a vacation or just a visit when passing through. Thanks for giving us the guided tour of your favorite places. John, We totally enjoyed your tour of Old Town in Albuquerque NM. It's an absolutely beautiful place see, to visit and to live...nice job Mr Q! You rock Q Man...........this series has been so much fun. Now I need to get there for the real deal and have you "tour" me...............well done my friend. Once again, it looks like a fun place!! Folks that knew diddly about New Mexico before your blogs can no longer whine about lack of knowledge. Keep the conveyor belt of local sizzle, wide and handsome, drop dead gorgeous stills coming to breathe life in to your area of the blue and green spinning marble. Love Albuquerque. Keep up the good work. By the way, I sold a "Yard Long" in my antique shop the other day.....and guess where it is headed? The cross-stitched piece that says, "Home Sweet Home" will be hung on a wall in Albuquerque! Hi John, These are some lovely photos of Old Town Albuquerque. Thanks for posting the other links, since I did miss some of them. This was a fun and colorful journey through Old Town Albuquerque, John. Thanks for sharing it with us. I really enjoyed it. John, thank you so much for this wonderful trip, I love the colors in your part of the world and can't wait to visit again. Hi John, Thank you for sharing your series on Old Town with us! You were a wonderful guide! Good morning John. Your series has been wonderful and makes me want to jump in the car drive to the airport and check out your area. Well done, my friend. John - thanks for sharing old town Albuquerque and all it's picturesque places. I love that turquoise necklace - that's stunning. The mosaic is really cool too! Have a great Sunday! John, You have certainly given us a taste of Old Town Albuquerque with all of your wonderful photos. Sounds like a great place to live or simply get a tour from our favorite tour guide. Lovely photography. Makes for a great 'arm-chair' tour of Old Albuquerque. You go above and beyond in showing your attention to detail. You are the man to call for Albuquerque homes for sale! That mosaic is such a work of art. You don't see too many of those up here. Beautiful pictures - you have put Albuquerque on my list of places to visit! Thanks John! I've really enjoyed the tour, and great job with the selection of photos. I still think my favorite is the church with the high ceilings! Excellent idea of a series. Fabulous localism post. Certainly puts into focus certain things that make your town worth visiting. Good afternoon John, please...don't let the tour end. You should showcase something once a week. There is so much to see from your beautiful city. Do some more shots with the chiles. I love the colors and how they are hung to dry. Great series and I have enjoyed it so much. I totally enjoyed this little tour of Albuquerque! Having been there many years ago, I know exactly why you're proud of the "Q"! Can't wait to visit some day! Sounds like a road trip! Bike Ride!!! 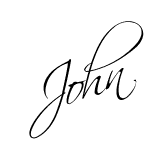 John - Great series of post! What a wonderful way to share your area with folks! John, I sure am enjoying the Localism work that you are doing in the Old Town Albuquerque (lots of qs)...just keep typing those qs. LOL! Anyway great job on this series. They are so beautiful. Great stuff, my friend! Hello my friends and associates here in Active Rain and our blogging world. I have read each and every comment provide in this final post of Old Town Albuquerque and I appreciate the kudos and encouragements. You know I always try to respond to each of your comments, but the week of Real Estate is taking priority and my focus. I greatly appreciate each of you and look forward to reading each of your blogs. Adios and Hasta Luego my friends! I love posts about historically significant lovely cities like Albuquerque. This is the first post I hve read, but I am on my way over to read the others. I want that beautiful tourquoise necklass. Thanks. Hi folks, Great pictures and these pics make you feel like you are actually there. Good idea for a series of blogs.